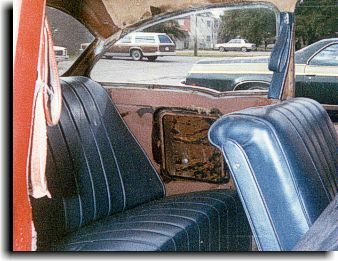 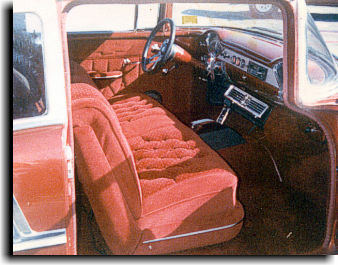 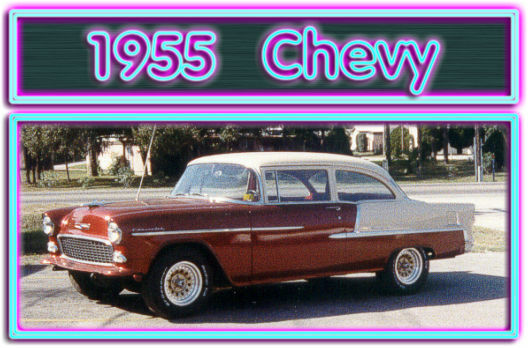 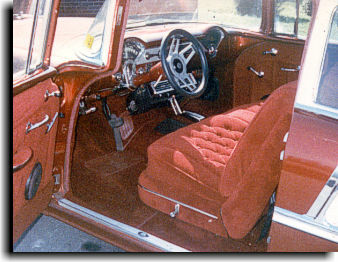 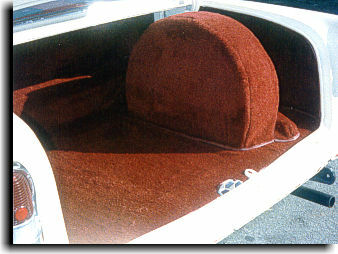 The interior for this 1955 Chevy was constructed using a nice maroon velour. 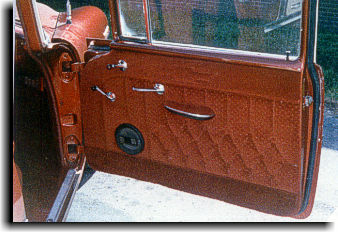 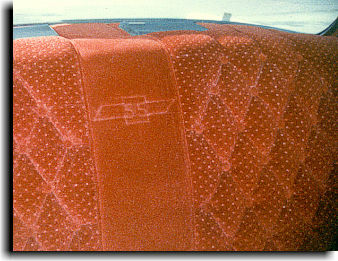 A diamond design with buttons was used for the inserts on the seats and the door panels. 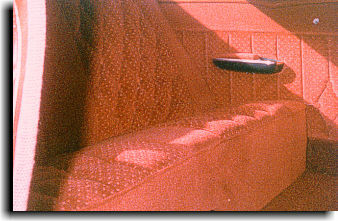 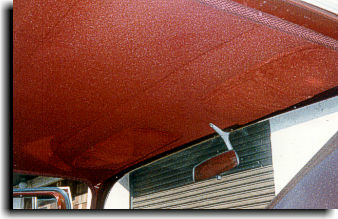 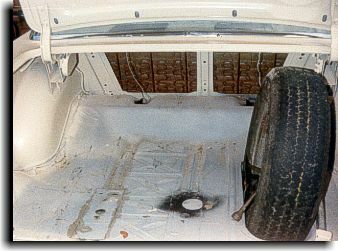 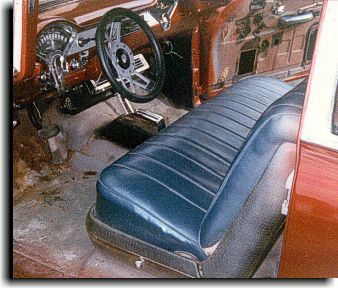 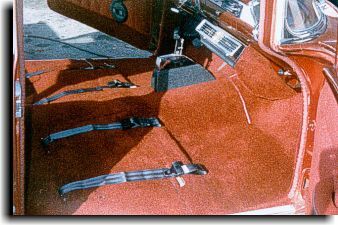 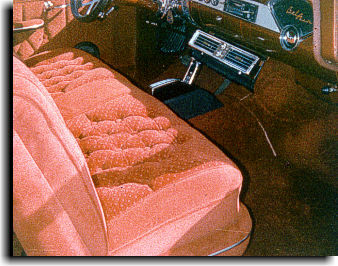 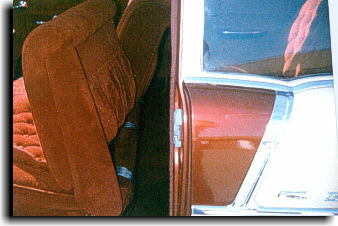 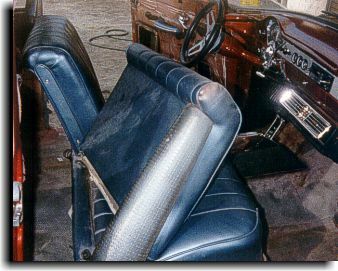 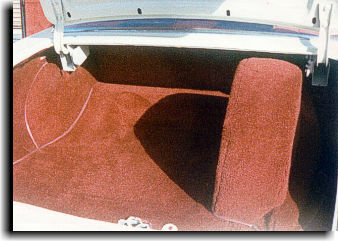 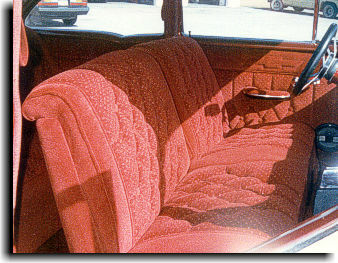 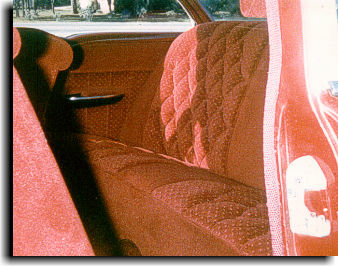 The same plain velour that trimmed the seats was also used for the headliner and a maroon cut-pile carpet was used for the flooring and truck. 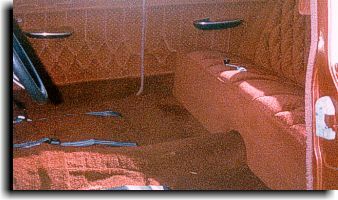 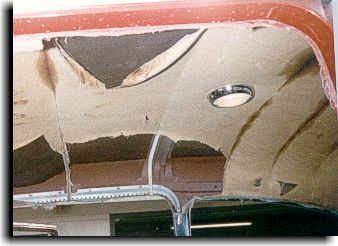 The original condition of the interior at the start of the restoration.